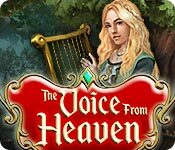 The Voice from Heaven is rated 3.2 out of 5 by 27. Rated 5 out of 5 by denniann2 from a great M3 game this is a very long M3 game. it seems to go and on. the game deals with a young woman (aurora) that can change her surroundings by her music and singing. there are different places you go through to finish the games and the different places have many levels that you have to play to get gold to unlock the improvements. Rated 5 out of 5 by cabanaeast18 from Are there other games by this developer? I'm enjoying this game including the story, graphics, and characters. I especially like the music. I like Enya. Does anyone know if the developer has other games I could try? Rated 5 out of 5 by darkman2014 from Great Game but... Asks for more money to progress even though paid for the game in full. Rated 5 out of 5 by kandinsky from GREATLY HELPED BY THIS GAME My deepest thanks to the developer for this game. My review will have two parts the personal and the game in itself and I will give it five stars on both though obviously it can be a little hard to separate. First my special gratitude is because a friend who is close and important to me has been hospitalized for a week, after a post procedural infection the antibiotics has taken hold and she may probably be going home tomorrow. In many hours of waiting and stress I played this game and it focused my stress and gathered it up and in some measure cleansed it as Aurora's song does. Although this is very personal I do think in one way or another at one time or another most players use thse games in this sort of way sometimes. As such this game is supreme it seems to me. Secondly the play has the limits that have been pointed out,until you get used to the colors and designations it can be hard to immediately see what token is what sometimes . Also the game does not develop the powers of the boostups and at the same time make the levels progressively more difficult as some match three games do even reaching the virtually impossible. The virtues of the game for me include this level playing progression which may displease another. Besides this the story is quite wonderful, characters with this or that limitation or flaw but all entering the song of renewal of the world and of life. My focus in games is on character and story and for me these seem very wonderful of their kind. No over-reaching and attempting to match some graphic novel guru , but the setting out and telling of a pure and grand story. Enjoy! 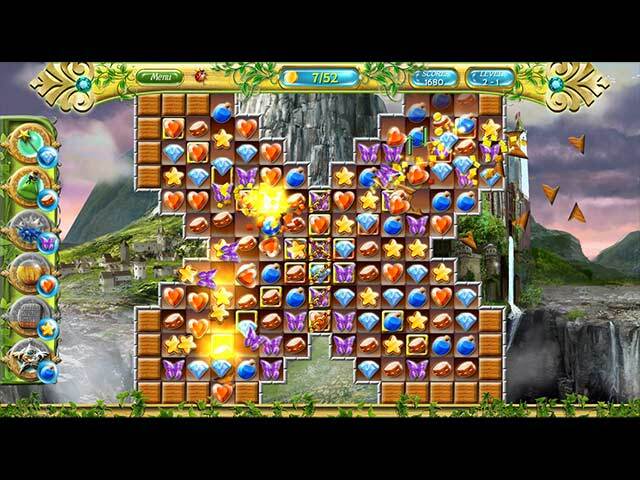 Rated 5 out of 5 by FlashyFisher from Classic match3 adventure What a great family game! The story reminds me to disney's tale. a very relaxing celtic music that i love! Level difficulty is a little bit challenging for me, but the overall is great for killing my time. Thank you bigfish. 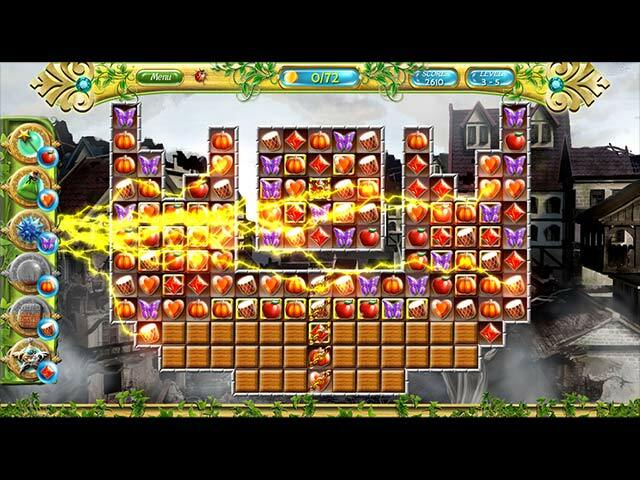 Rated 4 out of 5 by melissa845 from A Fun Game - Give it a Try Some "golden tiles" are hard to see. But... I find they are merely gold around the edges. I have seen HOPS that were much harder to find. In the upper left hand corner they tell you how many tiles or things there are left to find. Lots of power -ups to help one a long. It is a game that is worth seeing for yourself what you like. I enjoyed this game.. I did not find it too hard even if I did not get three stars on every game. It was fun. A little "fairy fantasy" but fun. Rated 4 out of 5 by wadeckiburn from Good Match game, just why does Beck sound like Ezekiel Jones from the show "The Librians" ?s I won`t bore you with the plot, it pretty much says it all in the synopisis. This review is based on the demo only. There was only 2 modes to play in: relaxed and timed. I played in relaxed, just to see how it all played out. You can adjust the sound and game modes. Same ole match game as others with power-ups such as; Match 5 items get a gold star which blows up a surrounding area Match 6 items get lightning which destroys random items there is nothing when you match 4 items Wand-destroys one item potion- is a bomb, destroys several items spore(? )- is lightning (across the board) That was as far as I got in the demo Each level you have to match certain items to obtain a power-up,such as one level you match up diamonds for a wand and another level it might be drums for the same power-up. After you obtain some points, then you can start re-building the Elven town, that was also as far as I got in the demo. All in all an ok Match game, as I have plenty more match games, I will either use a free game coupon or the daily deal for this one. The music was ok, I just lowered the volume and didn`t really notice it that much. Also the gold tiles were a little hard to spot with the color scheme of the game. The only thing I really didn`t like was all the talking, even fast forwarding thru the speeches (accents was terrible (BECK)) it kinda ruins the game Aurura`s singing (OMG please don`t) Beck`s snidish comments and so-called accent, that was the worst of the game. But, just turn music down (or off) and play. Hope you enjoy. Rated 4 out of 5 by catlynn54 from A funny game Let's face it, devs are hard-pressed to come up with novel match-3s. This one has a nice quest, ethereal music (reminds me a bit of Enya or Loreena McKennitt) and a rascal companion to the heroine. The levels become quite challenging but the game is untimed and there are powerups which can be earned to help with the pesky stuff. All in all, I would suggest a trial. Rated 3 out of 5 by fredandethel from A mixture of light and dark I quite liked this game, it's different and even the early levels are not simple. But after about quarter of an hour the black backgrounds to the tiles put me off.